When it comes to gaming, the PC and the Console gamers have always been at odds on which platform could deliver the ultimate gaming experience. With the introduction of VR to the fray, let's see who currently has the upper hand. After being heavily promoted for the entire year of 2016, Virtual Reality has finally settled down as part of the gaming industry. The application of this simulated reality into computer gaming however has been divided into 3 sub markets. The main PC market, the Games Console market and the Mobile Phone market. The first 2 are high-end in quality while the last facilitates bringing decent quality VR to the masses. Thus, the competition for the high-end VR gaming experience is left to the current PC and Console based VR systems. Both of these platforms provide gamers with the awesome immersive experience that is expected from VR. Of course continual developments and upgrading of the technology will continue to push VR gaming into the future potentials it may hold for the overall gaming industry. As to which of these 2 high-end methods of delivery is the one gaining more ground depends on several factors which results in gamers prefering one platform over the other. These factors include things like over-all costs, ease of use, availability of content, personal and professional preferences and other reasons that can affect the decisions of the buying public. With these in mind, let's try to come up with a quick analysis as to why one VR method of delivery has become more popular than the other. Let's start with the buyer and gamer preference. The main intent of the public in acquiring a VR high-end gaming system is to play VR games, to experience and enjoy Virtual Reality at its very best. Of course software developers and computer professionals may have another reason to get a VR system which would defenitely involve tinkering with it, software, hardware, settings and all. So, based on these alone, we have an idea who would go for what and why. One thing leads to another and compared to the number of developers, regular people and players would rather have a system that would be the plug and play variety so to speak. They're excited, want the ease of use and the ability to play right away. Who in their right mind would want to use a VR system where you would have to go through an excruciating and technically demanding process of setting up a PC based VR system in the first place if all you want to do is to play, except the developers and those who want to conduct studies with VR of course. Market-wise, the bulk of the buying public just wants to play, so for preference and ease of use, naturally the console wins. We now go to cost. If you will compare the gaming quality of a high-end PC based HMD with a console based system like the PSVR, a PC with its open-architecture will always have the ability to upgrade and deliver maximum VR performance. Well, more computing power means more cost. Let's make a short comparison between the components of each to illustrate the point further. A minimum bare-bones PC VR system would require the following components to deliver a decent high-end fully immersive VR experience. You'll need a real fast processor. Nope, your old Core Duo won't be able to provide the needed push to run VR. You'll need at least an Intel Core i5-4590 or a Core i7-6700K at best. Then you'll need a really powerful graphics card or GPU. A Nvidia GeForce GTX 970 or AMD Radeon R9 290 would do but if you want optimal results, you'll have to shell out for a Nvidia GTX 980 or an AMD Radeon R9 390. Oh but there's more. You'll need a good quality motherboard that would be compatible with the components required. If possible, a pro-gaming motherboard (that will of course work with the GPU and Processor) will do. Make sure it has the necessary amount of USB 3.0 ports needed. The current minimum requirement for on-board memory or RAM is 8GB, that's it. Increasing your memory may provide a little advantage but won't really affect the over-all VR experience. Also, you can use either DDR 3 or DDR 4 RAM depending on your motherboard but it really doesn't matter much for performance. A 1TB SSD Hard Drive will do as long as it can accommodate the programs and data you will need. A power supply of around 550W to 750W will do. Just make sure it can juice up all the components connected to the motherboard. Finally, you'll need a tower case for your rig not to mention the other peripherals like Keyboard, Mouse, controllers etc. 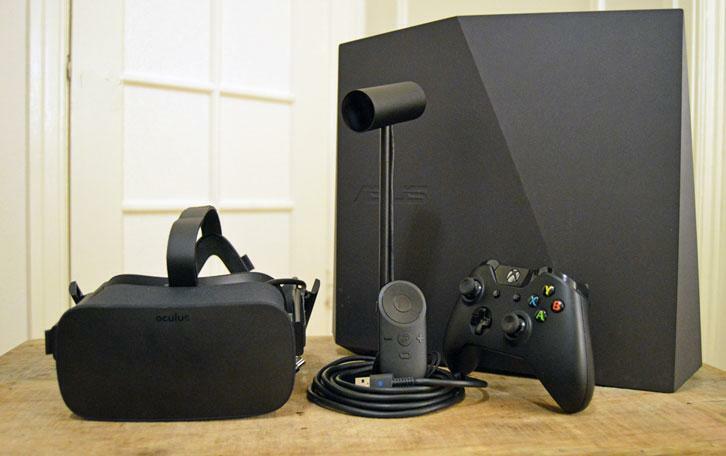 Lastly, you'll need an Oculus or HTC Vive VR HMD system to connect to your lean, mean game machine. For the PC, you'll spend around 700USD minimum but that's pushing it. Say around 900-1000USD for a far more decent rig. The Oculus is around 600 USD and the HTC Vive would be around 800USD and you'll need to add a little more if you'll get the latest controllers. Overall. you'll be spending around 1700-2000USD give or take. Now for the Console. The Xbox X (Project Scorpio) though now out on the market is still in the process of the development of its VR side. XBox X is a very powerful machine that would probably go head to head with the PlayStation once again. For now, we will have to focus on the PSVR as XBox X hasn't formally entered the VR competition yet. Compared to the PC, the PlayStation has always been a closed box. The components and peripherals are all modular. Usually, all you have to do is to attach the correct cables to the correct ports. Nothing really difficult if you can read a manual and follow simple instructions. 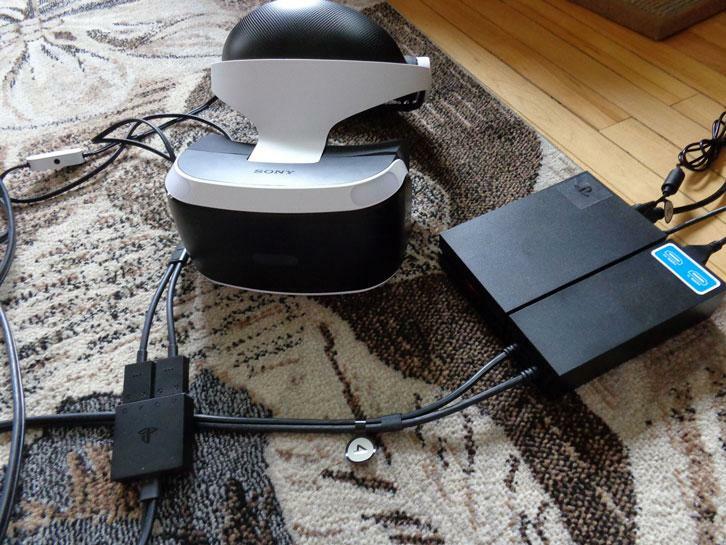 The main unit is the PS4 and you connect everything to it. Power Supply, Controllers, Camera, VR box and HMD, etc, etc. If you're really that technically adept, you could probably complete the set-up in around 10min or less. Switch it on, load the disc and do some minor adjustments and your set to go. No fiddling around with difficult settings or waiting for Windows and your apps to load. A Sony PS4 will cost around 350USD while the PSVR bundled Kit (comes with all the components needed like camera, controllers, HMD, etc) will cost around 400USD. If you get the big box with the entire caboodle (PS4, PSVR, etc. ), it will cost around 700USD. Aside from cost, the console is simply plug and play. With the PC it's definitely Plug and Pray. Again, the Console wins. The thing about developers is that they will commonly gravitate towards the money. A lot of effort and investment goes into the development of a game so naturally, they will have to at least break-even with it. A lot of VR games are being developed for both the Oculus and the Vive and a way lot more for the PSVR. Many Oculus and Vive titles are being ported over to the PSVR to take advantage of the market but some of the best titles are exclusive to the console. Never the less, as it stands, there is a continual development of content for both markets. Nobody actually gets the upper hand in this regard. In closing, despite the advantages of VR console gaming, PC based VR is here to stay. It will always deliver a VR experience way beyond that of console VR simply because it is upgradeable and can push things to the max. However, for the home market and for regular gamers, the console will always be the practical alternative to be able to jack-into the world of VR.